Skin tags on dogs are common and are usually harmless. However, it can be worrying to find a lump on your furry friend especially if it’s new. Although most lumps on our dogs are benign (non-cancerous) fatty tumours, it’s always best to have them checked by a vet who can confirm it. If your dog does have a skin tag, it won’t usually need any treatment. But if it’s in a delicate area where it may rub or cause discomfort then medical help may be required. So what are they, and how do you identify them? What are skin tags on dogs? A skin tag (acrochordon) is a small harmless growth. 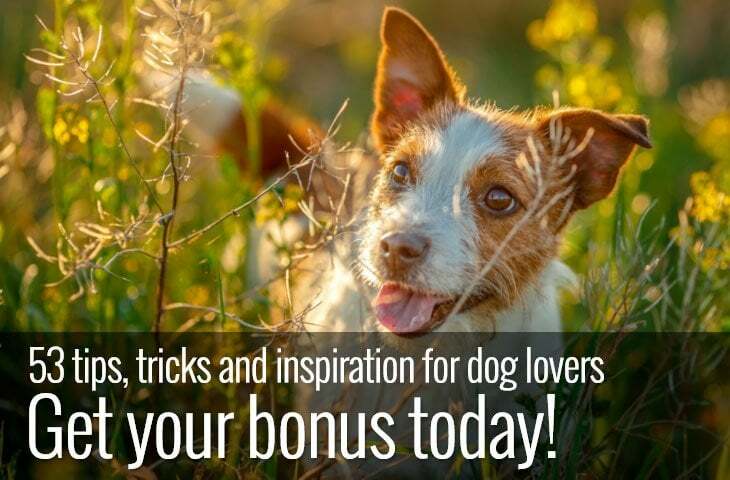 It can appear anywhere on your dog’s body but is most likely to appear where skin can rub on skin. Common places for tags to appear are armpits, inside of back legs and sometimes around the neck. Despite looking a little like warts, skin tags are not caused by a virus. Warts have a thick base that sits close against the flesh. In contrast, skin tags are often teardrop shaped with the skin at the base appearing pinched. Skin tags are also soft whereas warts feel hard to the touch. Skin tags can vary in shape and colour but commonly look like a small teardrop or a flattened lump of skin. They often dangle away from the body and should not cause any discomfort to your dog if touched or handled. Most tags will be relatively small, a few millimetres at most, but they have been known to grow to the size of a grape. It’s those big lumps that tend to cause most problems. Because of their size they can get caught or rubbed. If this happens, the tag may bleed or become inflamed and can cause your dog discomfort. What causes skin tags on dogs? The fact that most skin tags commonly appear where there is skin on skin friction seems to support the idea that they grow where there has been previous damage to the skin. 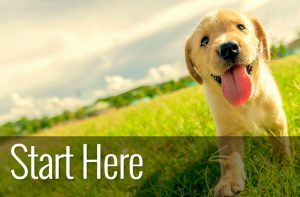 Ticks, fleas and mites pose a problem for our dogs despite their diminutive size. Direct damage to the skin from these bugs as well as resulting allergies can create inflammation and cause the skin to become vulnerable. Once the skin has healed, skin tags are more likely to develop. Environmental irritants also seem to be key indicators of whether a skin tag will develop. Anything from seasonal allergies to a poorly fitted harness can cause damage to soft tissue. This damage is thought to prime the skin to go on to develop abnormalities. Also, with our sometimes over enthusiastic desire to wash our dogs, it’s possible to strip away the natural oils from their coats, leaving them dry and susceptible to damage. 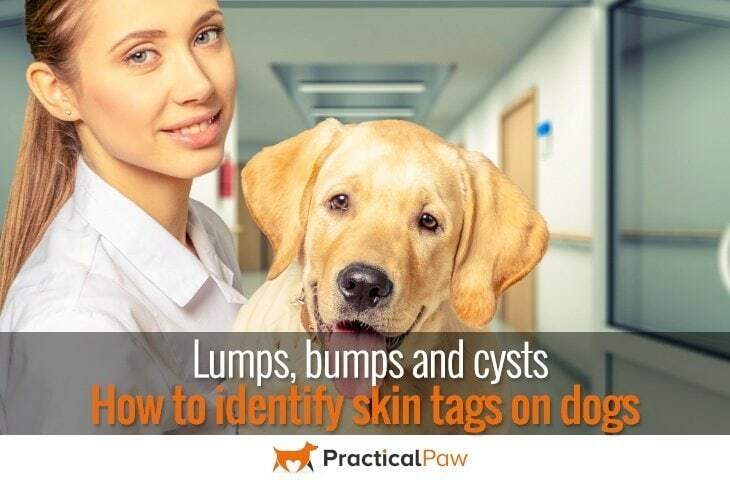 Genetic factors may also influence whether your dog will be affected by skin tags. Some breeds like the Cocker Spaniel being more prone than other breeds. That said, no matter how careful you are with your dog, as they age they are more likely to go on to develop lumps and bumps. Since most skin tags are harmless, they don’t need medical intervention or removal. However, there are certain circumstances where it’s wise to pay a trip to your vet. Your vet can advise you if your dog needs to have their skin tags removed. Despite there being plenty of places that give you advice regarding the home removal of skin tags, please don’t. Not all skin tags are what they seem. 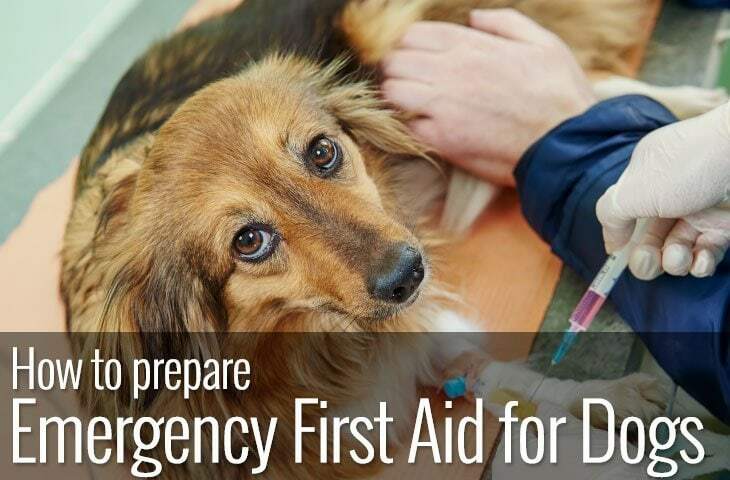 You risk making the situation worse by causing your dog pain or making your dog vulnerable to infection. Skin tags are live tissue, if you cut it, it will bleed. If your dog isn’t bothered by their tags, then leave well alone. What other lumps, bumps and cysts are there? Unfortunately, not all lumps are harmless. Skin tags, although highly unlikely, have been known to become cancerous. As they are not the only skin abnormalities out there, it’s essential to be vigilant, and regularly inspect your dog’s skin. As your dog ages, this is especially important as this is when they are more likely to develop these problems. Fatty lumps can develop at any age but are most common in ageing and overweight dogs. They form just underneath the skin surface. Although most are harmless, they can irritate your dog depending on where they develop. A visit to your vet is vital since it’s impossible to identify the nature of the tumour at home. A biopsy can be taken to clarify the type of lump it is and ensure that it is benign. Almost twenty percent of all tumours found in dogs are mast cell tumours. Although this doesn’t automatically mean that the lump is cancerous, these types of lumps are the most common cause of skin cancer in dogs. 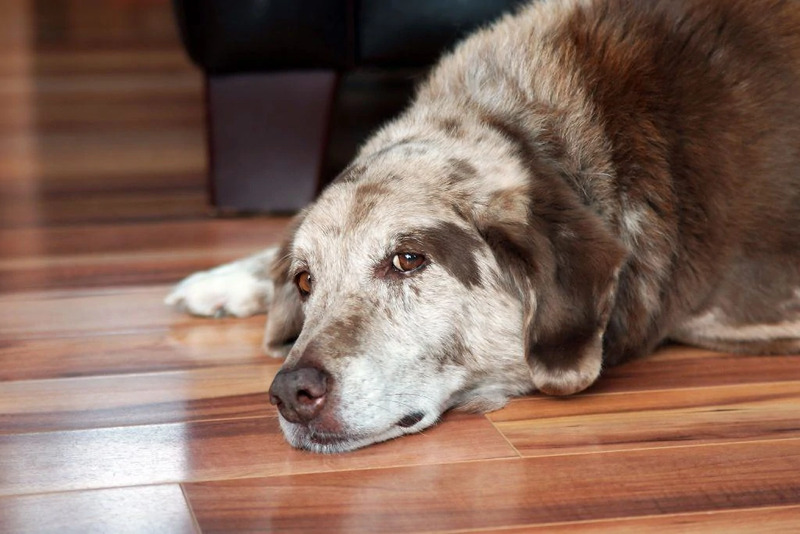 The tumours can vary widely in appearance and can develop at any stage of your dog’s life. They can be found on or under the skin and may be small or large. Some dogs like beagles and schnauzers are more genetically prone to developing them so should be monitored closely. Mast cell tumours provide a strong argument for going to see your vet as soon as you notice a skin abnormality on your canine companion. Early diagnosis is essential if the lump is malignant. Warts are harmless and are caused by a virus. Despite looking horrible, they often disappear on their own. Unless it is causing your dog discomfort, there is not usually any need for medical intervention. If you notice any abnormalities on or under your dog’s skin, then it’s wise to get it checked out. Despite skin tags usually being harmless, it is not always easy to identify them correctly. Once your vet has confirmed that the lump on your dog is a skin tag you still need to be vigilant. Any changes in its shape, colour or size should be monitored and reported back to your vet. In rare cases, skin tags can become cancerous. If your dog has them around their mouth or if it gets caught and starts to bleed or to develop a discharge particular attention is needed. Despite the need to be careful, skin tags on dogs are very common and often harmless. Most dogs will not even notice they have them unless they have grown in an awkward place that can rub. If you are tempted to get them removed for aesthetic reasons, consider whether it’s worth putting your dog through an unnecessary procedure. Even if your vet does get rid of them, there is no guarantee that your dog won’t develop more. 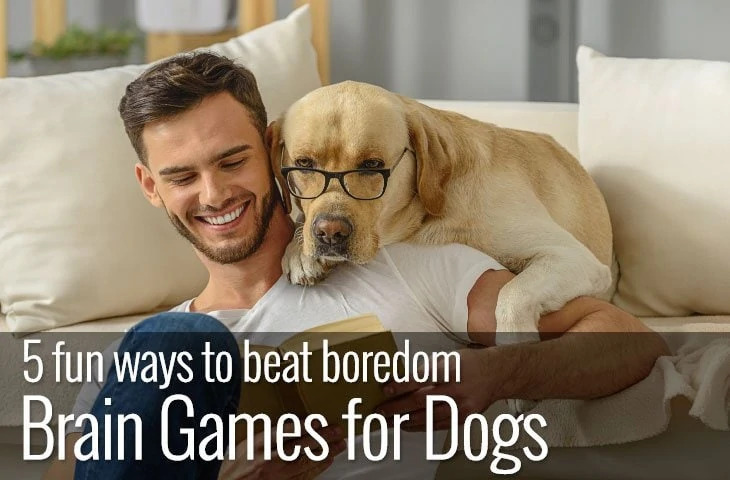 So if you can learn to love the lumps and bumps on your dog while keeping an eye on them too, there is no need to do more. Instead of taking your pet to the vet is is better to get a tag band remover. However as advised by you in the post the owner needs to be vigilant and be clear about the need to get the skin tag removed from there.